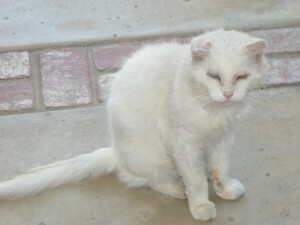 A few photos of Cloud, the front yard cat, from a few days ago. 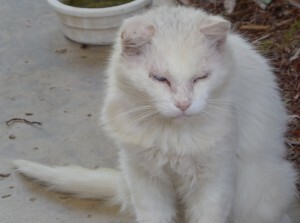 He is doing well right now, and looks pretty good for a long haired white cat who lives outside. Keep in mind he has his summer coat right now. In the winter his fur is much longer. A close up of his squinty look. 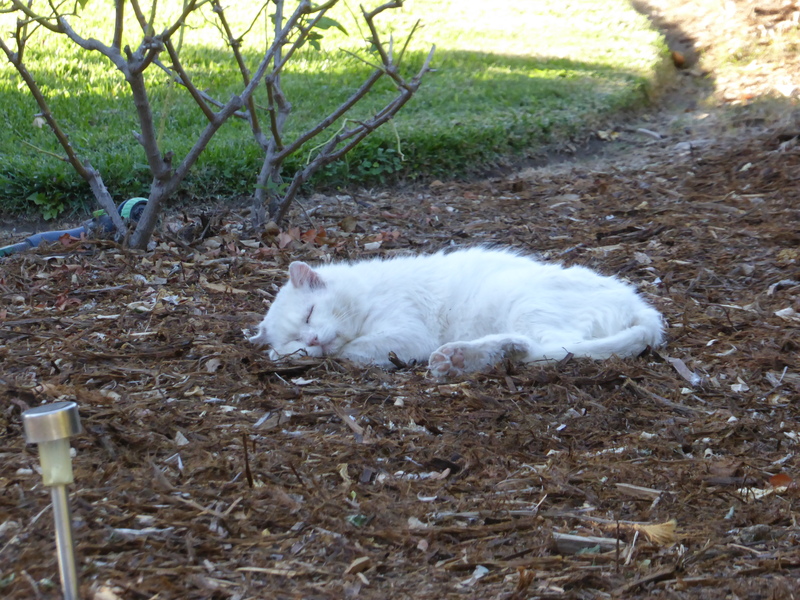 Asleep in the front planter on the mulch. He looks like a creature from the deep when he gets up and mulch is stuck to him everywhere. It looks like seaweed dangling from him. 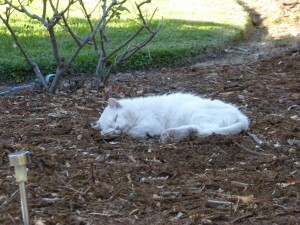 As a white cat with light eyes, he always seeks out the shade, even in winter. He is a beauty! I wish he would come inside to live with you. I agree with Dor. I’d be happier if he was safe inside. He is beautiful. He is so pretty! 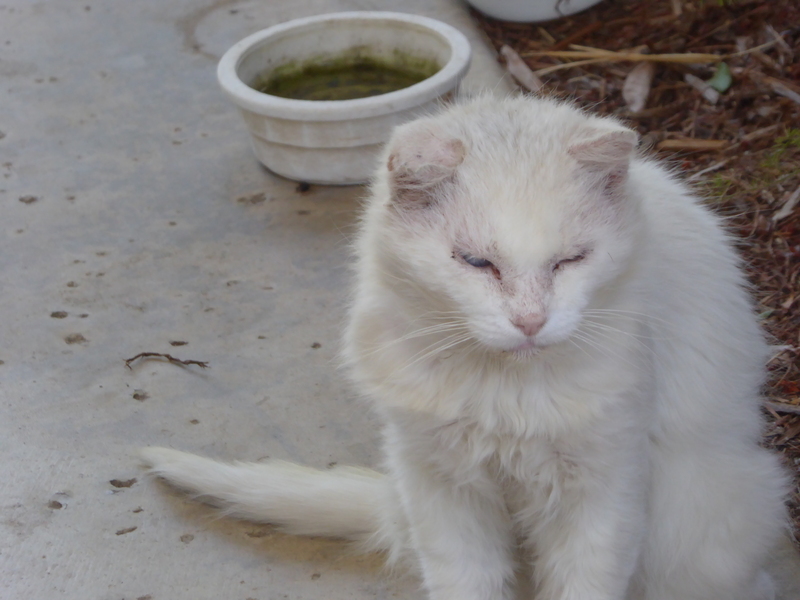 Can feral cats be domesticated? Um…not really. He is more comfortable with us than he used to be. He doesn’t run at the sight of us. Sometimes he lets us walk by without getting up and moving farther away. But I think of him like a wild animal. He wants the food we give him and is willing to give up a small amount of his wildness to get it. Otherwise, no thanks. He does look better than the last time I saw him.